Ladies, I’m here to tell you something that I would not have been able to say even a year ago: I am not a tiny doll. It hit me when I was shopping at a favorite fast-fashion retailer. As I wandered the aisles, crammed with manic patterns and style mishmashes, I had a moment of clarity. “Huh, are all these pants cropped weirdly?” I thought as I took in a denim display. I had never noticed this before. Then, stumbling upon a rack of summer tops, I turned to a saleswoman and asked, “These shirts, are they missing the bottom?” (It turns out she didn’t work there, she was just an impossibly cool teen, so I was still without an answer.) Finally, as I was trying on a pair of sunglasses, I caught my own gaze in the mirror and realized they looked as if John Lennon’s signature shades had been struck by a shrink-ray. They were barely covering my eyeballs. “IS IT JUST ME, OR ARE ALL OF THESE THINGS TOO SMALL? !” I screamed out loud. My voice echoed through the cavernous retail store to no response. I stood there, catching my breath and grappling with my swirling thoughts. Were these clothes too small, or was I too big? Did I have a growth spurt, or did fashion have a shrink spurt? Then, it hit me. All these years, I had assumed I was exactly who the world told me I was: a tiny doll. A tiny doll who only deserved to live in tiny homes, wearing cropped clothing while eating mini cupcakes. I operated under the belief that I was born a tiny doll and I would die a tiny doll. But was I? During that moment of clarity in a clothing store, I realized that though these fashion accessories might be doll-size, I am full-size. Today I can confidently say that I am a full-size human, and not a tiny doll. If my story sounds familiar to you, and if you want to find the full-size adult woman inside of yourself, you need to know that it’s a lot of hard freakin’ work. But you too can unlearn what you’ve been conditioned to believe. Just because miniature things and sample size beauty products are in vogue right now, doesn’t mean you need to shrink yourself down to their expectations. Here’s how I learned that I am not a tiny doll, so that you can do the same. You’re a smart woman. You know that this article you clicked on is sponsored by a brand, and is thus a form of advertising. But I wouldn’t collaborate with a brand unless I believed that brand’s ethos was in alignment with my own beliefs. And it just so happens that FabFitFun is the only subscription service box out there that recognizes women as full-size. Unlike other subscription boxes, they don’t send you puny sample-size beauty products. They send you actual full-size beauty, fitness, wellness, and lifestyle products that were designed to be used by real women and not tiny dolls. 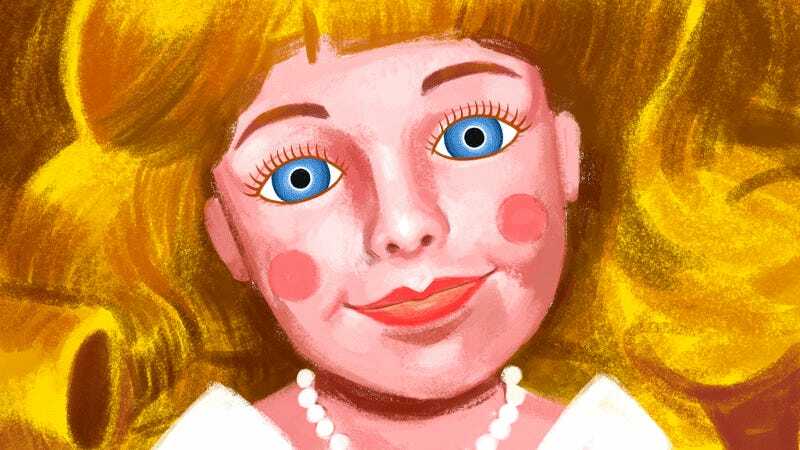 How many times have you walked into a toy store, convinced that the only bed you deserve is designed for a plastic doll, no bigger than two feet tall? Or visited a hotel and assumed the shampoo bottles were a tacit statement on your being a miniature figurine? Or what about the times you’ve looked in the mirror and said, “I’m just a tiny doll with yarn for hair and marbles for eyes.” Well, enough is enough. YOU are the only one who can stop this negative self-talk. You are NOT a tiny doll. You are a full-size human. With keratin for hair and eyeballs for eyes. But only you can decide to believe it. I challenge each and every one of you to make a list of what makes you happy. Then look at your list: How many of these do you make time for every day? I bet very few. Figure out what makes you feel the most joy, and the rest will follow. Soon, you’ll realize that your dream of one day living in a Barbie dream house isn’t actually what you want for yourself at all. Make space for your full-size dreams. Then, one day, you’ll realize you haven’t thought of yourself as a tiny doll in weeks. Soon that will turn into months. And before you know it, your tiny doll days will become a disappearing speck in the rearview mirror. What would it feel like to decide that your beauty products don’t all have to comply with the TSA 3 oz. requirement? That your meal can be more than a single lentil? That your bed can be bigger than a shoebox? Consider, if you can, that a shirt doesn’t have to be two squares of toilet paper sewn together. By doing this, you’ll notice the limitations you’ve been putting on yourself by assuming you are nothing more than a tiny doll. It’s time to open up your mind to bigger possibilities: being an adult-size person. In a tiny doll mindset it’s easy to tell yourself, “Oh, I don’t need a full tube of lipstick, I just need this itty-bitty one the size of a thimble.” Or, “Why would I ever buy a full-size bottle of shampoo? My head is barely bigger than a navel orange!” But none of this is true. You deserve full-size products because you’re a full-size person. Those tiny useless products only reinforce the idea that you are not a whole person, when in fact you are. With a lot of hard work spent learning to love yourself (and also the many full-size wellness products included in a FabFitFun box) you too will learn that you’re a real human. Now’s the perfect time to start this learning process because FabFitFun is offering new subscribers $10 off their first box with the coupon code GOODTIMES. New members get over $200 in retail value for just $39.99 in the highly anticipated Summer Box out now — it has full-size products from premium brands, including: Foreo, tarte, Yumi Kim, Pier 1, Coola, and more. The future is yours, ladies. Step out of your tiny doll past and into your full-size future. It’s yours for the taking. A Real Adult Woman enjoys a wide range of activities and situations.